A reader wrote: "I don't understand the value of soaking raw nuts before eating. Nuts have such mild flavor to begin with—aren’t we just watering that flavor down?" Tree nuts and seeds are highly concentrated fat and protein, given by nature to ensure that an actively growing sprout will have all the nourishment it needs. Just like any other raw foods, nuts and seeds contain enzymes. We want the benefit of those enzymes, and that’s one reason we choose to eat food without subjecting it to intense heat. However, till the germination conditions for nuts and seeds are met—like moist soil, or in our case a soaking process—the enzymes in most nuts and seeds stay dormant, held hostage by so-called enzyme inhibitors (another brilliant natural mechanism to ensure the proliferation of the species). When the conditions are right for seeds to start growing, the enzymes within them break free from those inhibitors, and start breaking down nutrients into simpler chemical forms, thus making them easier for digestion and assimilation, lessening the burden on our digestive organs. 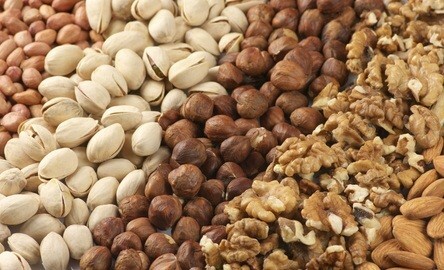 What effect would those enzyme inhibitors have on our health if we ate nuts and seeds without first soaking them? In his book Enzyme Nutrition: the Food Enzyme Concept, Dr. Edward Howell cites a 1948 University of California experiment in which chickens were fed a diet of raw soybeans, containing enzyme inhibitors. The birds looked sick, failed to grow and gain body weight, while their pancreas gland enlarged significantly. A similar 1960 U.S. Department of Agriculture experiment, using rats, confirmed those findings. Howell also describes how, after two months of unwittingly consuming raw wheat germ with enzyme inhibitors still in them, he developed severe gastrointestinal issues. There is another big benefit of soaking and sprouting, and that is the dramatic increase in the available nutrient content of nuts and seeds. According to Dr. Gabriel Cousens, proteins, minerals, vitamins and enzymes increase, with soaking or sprouting, 300% to 1200%. In his book Conscious Eating, he also points out that nuts and seeds contain phytic and oxalic acids, as well as mineral chelates, which act as natural defenses against bacterial, fungal, insect and animal predators prior to a plant’s growth, and which may interfere with digestion and assimilation when consumed. If you’re new to the practice of soaking, it's a good idea to print out a chart of soaking times for different seeds and keep it in the kitchen for quick reference. 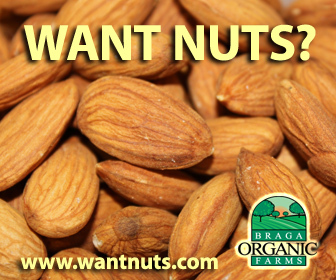 A good rule of thumb: If the nuts or seeds you are planning to eat have brown skins (almonds, walnuts, filberts, pecans, etc. ), they have a high level of enzyme inhibitors and need to be soaked for several hours to ensure complete digestion. White nuts (macadamias, pine nuts, hemp seeds, etc.) require very short soaking time or no soaking at all, since the amount of enzyme inhibitors in them is negligible. Personally I choose to give them a quick soak just in case—no harm done. I often soak the brown skinned nuts overnight—a great “universal standard” that helps keep things simple. Keep in mind that recommended soaking times may differ from one chart to the next depending on the original sources relied on and authors’ personal preferences. Technically, I think my reader can eat her nuts and seeds unsoaked, provided she takes a digestive enzyme supplement with her meal. But why spend the extra money? Enzymes are not cheap, and come in a capsule that your body needs to digest as well? Why not just soak? It’s simpler. Moreover, eating unsoaked nuts and seeds places an added burden on the pancreas, which has to fight the inhibitors by over-secreting pancreatic enzymes, causing it to enlarge in the process. What of that “diluted taste” my reader wonders about? My guess … She is relatively new to the raw food lifestyle, and perhaps accustomed to heavy seasonings and flavorings. 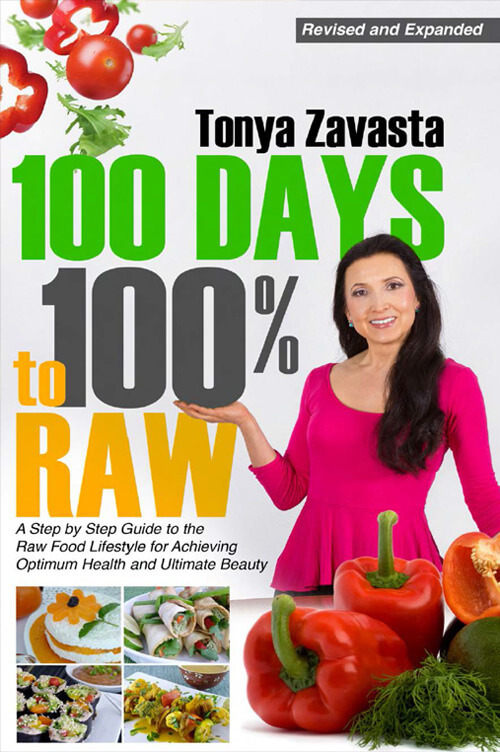 If so, she may not yet have adjusted to the relatively subtle palette of raw foods. As a result, the taste of nuts seems mild to her. To me, nuts seem sweeter in taste when they’ve been soaked, and I don’t notice any dilution of flavor. What I do notice about the practice of soaking raw nuts: Easier digestion and a delicious, highly nutritious addition to my raw foods menu.